2018 Panamera 4 4 seat all wheel drive sedan in Agate Grey with black leather interior. Our dealer demonstrator with just 6,000 miles. Well equipped including 14-way power seats with heating and ventilation, 4-zone climate control and heated rear seats, Bose surround audio system with Centerpointe 2 sound processing. and Audio Pilot noise cancelling, surround view camera system, adaptive air suspension with adaptive. damping and rear wheel steering, and a lot more. WAS $98,995. 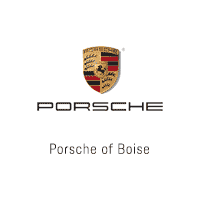 Given a complete inspection in our Porsche shop, serviced, and detailed. Offered for sale with the added value and confidence of the included factory extended warranty exclusive to Porsche Approved Certified Pre-Owned vehicles. Call, or come by for a demonstration today! OPTION PACKAGES PREMIUM PACKAGE: Comfort Access, keyless entry and engine start, 14-Way Power Seats, seat backrest, seat height, fore/aft position, seat cushion inclination, seat cushion depth and lumbar support (4-way), Memory Package, driver and front passenger seating positions, steering column, side mirrors, lights, wipers, climate control, door lock setting, instrument cluster and PCM, Lane Change Assist (LCA), BOSE Surround Sound-System, 14 loudspeakers w/subwoofer, 14 amplifier channels, a total output of 710 watts, BOSE Centerpoint 2 technology Rear Spoiler, MP3 Player, Remote Trunk Release, Steering Wheel Controls, Child Safety Locks. AFFORDABLE CARFAX 1-Owner Reduced from $98,995. VISIT US TODAY Shop with confidence! Every pre-owned vehicle undergoes a comprehensive inspection in our service department before being offered for sale. A free Carfax report is offered on line and in the showroom, and our lowest price is clearly marked in every vehicle on the lot. Come see us on line or in person today! Pricing analysis performed on 2/26/2019. Horsepower calculations based on trim engine configuration. Fuel economy calculations based on original manufacturer data for trim engine configuration. Please confirm the accuracy of the included equipment by calling us prior to purchase. With just 7,800 miles! Options include the Bose surround sound package with media interface, PRICE DROP FROM $48,995, PRICED TO MOVE $6,000 below Kelley Blue Book! park distance sensors and rear view camera, power open and close tailgate, tow package and more. PRICED TO MOVE $4,600 below Kelley Blue Book! Porsche Certified. Leather Interior, Power Liftgate, Turbo Charged, All Wheel Drive, Rear Air, iPod/MP3 Input, Bluetooth, Back-Up Camera, Satellite Radio, PORSCHE ENTRY & DRIVE Given a complete inspection in our Porsche shop, serviced, and detailed. Offered for sale with the added value and confidence of the included factory extended warranty exclusive to Porsche Approved Certified Pre-Owned vehicles. Call, or come by for a demonstration today! OPTION PACKAGES PORSCHE ENTRY & DRIVE, TRAILER HITCH W/O TOW BALL, LUXOR BEIGE, PARTIAL LEATHER/ALCANTARA SEAT TRIM, 8-WAY POWER BUCKET SEATS: (STD), BOSE SURROUND SOUND SYSTEM. Rear Spoiler, MP3 Player, Privacy Glass, Remote Trunk Release, Steering Wheel Controls. EXCELLENT VALUE Was $48,995. BUY WITH CONFIDENCE 111+ Point Inspection and Reconditioning performed by Factory Trained Technicians, 2 Year / Unlimited Mileage Porsche Roadside Assistance, Trip-Interruption Services, Balance of original 4-year/50,000-mile new car warranty, 2 Year / Unlimited Mile Warranty from the date of sale if new vehicle limited warranty has expired, All coverage expires at 8 years/100,000 total miles, NO deductible, transferable to subsequent owners MORE ABOUT US Shop with confidence! Every pre-owned vehicle undergoes a comprehensive inspection in our service department before being offered for sale. A free Carfax report is offered on line and in the showroom, and our lowest price is clearly marked on every vehicle on the lot. Come see us on line or in person today! Pricing analysis performed on 4/17/2019. Fuel economy calculations based on original manufacturer data for trim engine configuration. Please confirm the accuracy of the included equipment by calling us prior to purchase. 2016 Cayenne in white with dark brown leather. Perfect 1-owner local trade with just 33,000 miles. Well equipped including heated and ventilated front seats, Bose sound package and Bluetooth with media interface, blind spot monitor, rear view camera and front and rear park distance aids, moonroof, power tailgate open and close, factory trailer hitch and more. Has a complete service history with us, and everything's up to date. REDUCED FROM $44,995! Sunroof, Heated Leather Seats Given a complete inspection in our Porsche shop, serviced, and detailed. Offered for sale with the added value and confidence of the included factory extended warranty exclusive to Porsche Approved Certified Pre-Owned vehicles. Call, or come by for a demonstration today! OPTION PACKAGES PREMIUM PACKAGE: Power Steering Plus, Bi-Xenon Headlights w/Porsche Dynamic Light System, Front Seat Ventilation, 14-Way Power Seats w/Memory Package, Comfort Lighting Package, Front Seat Heating, Automatically Dimming Interior & Exterior Mirrors, Front & Rear ParkAssist w/Reversing Camera, Electric Slide/Tilt Glass Sunroof, BOSE SURROUND SOUND SYSTEM, LANE CHANGE ASSIST (LCA), FRONT SEAT VENTILATION. Rear Spoiler, MP3 Player, Remote Trunk Release, Keyless Entry, Privacy Glass. Serviced here, Originally bought here. A GREAT VALUE CARFAX 1-Owner 111+ Point Inspection and Reconditioning performed by Factory Trained Technicians, 2 Year / Unlimited Mileage Porsche Roadside Assistance , Trip-Interruption Services Was $44,995. WHY BUY FROM US Shop with confidence at Lyle Pearson's! Every pre-owned vehicle undergoes a comprehensive inspection in our service department before being offered for sale. A free Carfax report is offered on line and in the showroom, and our lowest price is clearly marked on every vehicle on the lot. Come see us on line or in person today! Pricing analysis performed on 3/22/2019. Fuel economy calculations based on original manufacturer data for trim engine configuration. Please confirm the accuracy of the included equipment by calling us prior to purchase. CARFAX 1-Owner. LOCAL TRADE IN, BOUGHT HERE NEW, SERVICED HERE, PORSCHE CERTIFIED, Porsche Certified. S trim. SOME FACTORY WARRANTY LEFT. JUST REPRICED FROM $44,995, $1,200 below Kelley Blue Book! Heated Leather Seats, RUNNING BOARDS, Turbo, All Wheel Drive, SIRIUSXM SATELLITE RADIO RECEIVER, SPORT CHRONO CLOCK DIAL IN WHITE, ESPRESSO, NATURAL LEATHER SEAT TRIM, Bluetooth, Dual Zone A/C, Brake Actuated Limited Slip Differential, Power Liftgate, Rear Air. CLICK ME! KEY FEATURES INCLUDE All Wheel Drive, Power Liftgate, Rear Air, Turbocharged, iPod/MP3 Input, Bluetooth, Dual Zone A/C, Brake Actuated Limited Slip Differential. OPTION PACKAGES ESPRESSO, NATURAL LEATHER SEAT TRIM, SPORT EXHAUST SYSTEM W/SPORT TAILPIPES, WHEELS: 21 SPORT CLASSIC: Tires: 21, INTERIOR PACKAGE PAINTED, BOSE SURROUND SOUND SYSTEM: 14 speakers, 585 watt amplifier, and AudioPilot, BLACK BI-XENON HEADLIGHTS W/PDLS, SPORT CHRONO PACKAGE: analog and digital stopwatch, Sport Plus button on center console, even sportier tuning of throttle response and systems such as PSM and PTM, activation of racing start function (Launch Control) and motorsport-derived gearshift strategy, Performance display in PCM, RUNNING BOARDS, FRONT & REAR PARKASSIST, CARRARA WHITE METALLIC, INSTRUMENT DIALS IN WHITE, SIRIUSXM SATELLITE RADIO RECEIVER: over 130 radio channels, 3-month trial subscription, HEATED FRONT SEATS, SPORT CHRONO CLOCK DIAL IN WHITE Rear Spoiler, MP3 Player, Remote Trunk Release, Keyless Entry, Privacy Glass. Was $44,995. WHY BUY FROM US Shop with confidence at Lyle Pearson's! Every pre-owned vehicle undergoes a comprehensive inspection in our service department before being offered for sale. A free Carfax report is offered on line and in the showroom, and our lowest price is clearly marked on every vehicle on the lot. Come see us on line or in person today! Pricing analysis performed on 3/26/2019. Please confirm the accuracy of the included equipment by calling us prior to purchase. Turbo S Coupe in white with black interior. 1-owner trade in with just 2,200 miles. A very nice build with. glass sunroof, Burmester 3D High-End audio option, 18-way seats with heating and active ventilation, carbon fiber interior trim, clear glass taillamps, and more. Perfect inside and out. Porsche Certified. Annual maintenance service done during CPO inspection. PRICED TO MOVE $1,500 below Kelley Blue Book! READ MORE! Given a complete inspection in our shop, serviced, and detailed. Offered for sale with the added value and confidence of the included factory extended warranty exclusive to Porsche Approved Certified Pre-Owned vehicles. Call, or come by for a demonstration today! OPTION PACKAGES BURMESTER HIGH-END INFOTAINMENT PACKAGE, ELECTRIC SLIDE/TILT SUNROOF IN GLASS, PREMIUM PACKAGE PLUS, CLEAR GLASS TAILLIGHTS, SPORT CHRONO CLOCK DIAL IN WHITE: In White, POWER STEERING PLUS, STEERING WHEEL HEATING, WHITE, FRONT SEAT HEATING, BLACK, LEATHER SEAT TRIM, WHEELS: 20 911 TURBO S: (STD), 18-WAY ADAPTIVE SPORT SEATS PLUS W/MEMORY PKG: (STD). Rear Spoiler, MP3 Player, Heated Mirrors, Electronic Stability Control, Bucket Seats. A GREAT TIME TO BUY CARFAX 1-Owner 111+ Point Inspection and Reconditioning performed by Factory Trained Technicians, 2 Year / Unlimited Mileage Porsche Roadside Assistance , Trip-Interruption Services , Balance of original 4-year/50,000-mile new car warranty , 2 Year / Unlimited Mile Warranty from the date of sale if new vehicle limited warranty has expired, All coverage expires at 8 years/100,000 total miles , NO deductible VISIT US TODAY Shop with confidence at Lyle Pearson's! Every pre-owned vehicle undergoes a comprehensive inspection in our service department before being offered for sale. A free Carfax report is offered on line and in the showroom, and our lowest price is clearly marked on every vehicle on the lot. Come see us on line or in person today! Pricing analysis performed on 3/5/2019. Please confirm the accuracy of the included equipment by calling us prior to purchase. FUEL EFFICIENT 24 MPG Hwy/17 MPG City! PORSCHE CERTIFIED, CERTIFIED WARRANTY ON THIS VEHICLE. JUST REPRICED FROM $66,995. CARFAX 1-Owner. S trim. Heated Leather Seats, Nav System, Moonroof, All Wheel Drive, Power Liftgate, Turbo Charged Engine, Aluminum Wheels, FRONT SEAT VENTILATION, PANORAMIC ROOF SYSTEM, PREMIUM PLUS PACKAGE, BOSE SURROUND SOUND SYSTEM. READ MORE! KEY FEATURES INCLUDE Leather Seats, Navigation, All Wheel Drive, Power Liftgate, Turbocharged, iPod/MP3 Input, Bluetooth, Aluminum Wheels, Dual Zone A/C, Heated Leather Seats OPTION PACKAGES PREMIUM PLUS PACKAGE: Porsche Entry & Drive, Front Seat Ventilation, 14-Way Power Seats w/Memory Package, Lane Change Assist (LCA), Front & Rear Seat Heating, Panoramic Roof System, LED Headlights w/Porsche Dynamic Light System Plus, Comfort Lighting Package w/Memory Package, Automatically Dimming Exterior & Interior Mirrors, Reversing Camera Including Front & Rear ParkAssist, Electric Sunblinds for Rear Side Windows, BOSE SURROUND SOUND SYSTEM, PANORAMIC ROOF SYSTEM, FRONT SEAT VENTILATION. Rear Spoiler, MP3 Player, Privacy Glass, Remote Trunk Release, Steering Wheel Controls. Edmunds.com's review says The Cayenne's specialty is peerless stability on curvy roads, yet it's also decent in an off-road environment. The height-adjustable air suspension provides plenty of clearance.. EXCELLENT VALUE Was $66,995. WHY BUY FROM US Shop with confidence at Lyle Pearson's! Every pre-owned vehicle undergoes a comprehensive inspection in our service department before being offered for sale. A free Carfax report is offered on line and in the showroom, and our lowest price is clearly marked on every vehicle on the lot. Come see us on line or in person today! Pricing analysis performed on 3/22/2019. Fuel economy calculations based on original manufacturer data for trim engine configuration. Please confirm the accuracy of the included equipment by calling us prior to purchase.